Students enjoy producing short videos and showing their creativity. Planning a video project doesn’t have to be a huge headache. 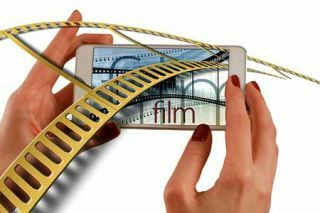 In my digital book, Learning to Go, I provide tips, resources, rubrics, and handouts to help your students storyboard their productions and create short commercials, films, trailers, broadcasts, digital stories, and public service announcements. Check out my slide presentation (download for free) below for more ideas and find over 1001 video production ideas here. Check out the bookmarks for several more web apps, tools, and resources to get your students learning by producing their own short videos. Time each activity- use a timer to keep students on task and get them to flow to each process. I recommend for an initial project 2 to 3 minutes for brainstorming with a storyboard; 10 to 15 minutes to plan, record, edit, and get the video to you; and about 15 minutes to show the videos at the end. Click here for a short video of me doing this with learners in Croatia. Have students work with a storyboard to plan their video productions. It will help them decide if they need props, videos, etc. Click here for a free storyboard template to copy/edit. Get students to share devices and produce videos in small groups of 3 to 4. In my digital book, Learning to Go, I provide a handout for students to break into small groups with roles and duties. Plan for how your students will get the videos to you. The easiest and quickest way is to make sure you have a laptop where students can upload with the camera cord. If you use the Internet or Wifi, plan for a few days to receive the videos because this will take much longer. Keep the video recordings short (about 1 minute or less). Many web tools and apps will allow students to create a short 1 minute video. Also, keeping the videos short means less time spent trying to get the videos uploaded. In some cases, a 5 minute video will take hours to upload depending on the bandwidth. Plan a film festival with your learners and some community members if possible. Host it with popcorn and later add the videos to a site for parents to access. If you teach learners under 13 years-old, then be sure the chosen web tool or app allows them to record a video. Most web tools and apps are for 13 years-old and above. Powtoons– Create fun animated videos with a library of music, text, and characters to choose from or upload images. Moovly– Make a movie up to 10 minutes with uploaded images, audio, and templates. Plotagon– A web tool and app to create animated avatar videos. Adobe Spark– A web tool and iOS app to create animated videos with images, your voice, and more in minutes. Touchcast– free iPad app to create interactive videos with a green screen, add visuals to your video, mark them up with the whiteboard and explain things with ease like never before. Diagram with the whiteboard. Use the Green Screen or Multi-camera switcher to add polish to your presentation. Thinglink– create videos and virtual reality lessons with links to information. Wideo– Create videos with uploaded images, animations, and add audio. ZimmerTwins– Make a cartoon featuring the Zimmer twins, type in the dialogue, choose a background scene, and create a fun movie. Peanut Gallery– Not necessarily a video tool, but students can add voice narration to silent film clips. This makes for an easy lesson. Dvolver– Create a short film and choose from their library of characters, backgrounds, and props. WeVideo– Web tool, iOS and Android app to make a collaborative or individual video with images, audio, and templates. The free version lets you publish up to 5 minutes a month and have access to 22 songs. Magisto– iOS and Android app to create a video with up to 25 clips or 30 photos free. Choose a theme and soundtrack, and add text, images, and video clips. Instagram– iOS and Android app to record up to a minute of live streamed video and add various filters. Share on this popular social network with others. Youtube Capture– iOS app to create videos and upload them to Youtube. SockPuppets– iOS app for creating short movies with talking socks. Puppet Pals– iOS app with fun characters set on a stage. Students narrate the characters and can upload their own images. Toontastic– iOS app for creating short videos with fun characters that students animate. Camtasia provides a free 30 day trial and has access to incredible editing features, transitions, and screen recording options. Of course you can try using Windows Movie Maker and iMovie programs and apps that come free on most Windows and Mac computers. Challenge: Get students to create a video with one of these web tools and apps.